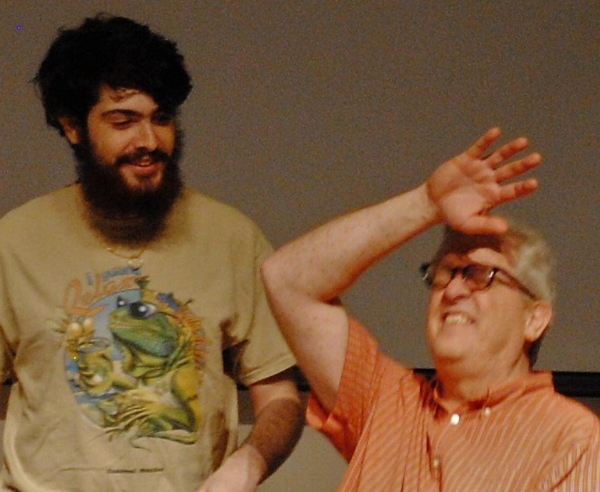 In celebration of Father’s Day on June 17, 2018, we want to highlight and celebrate our improv students, performers, volunteers and friends in our tight-knit community who are also dads. 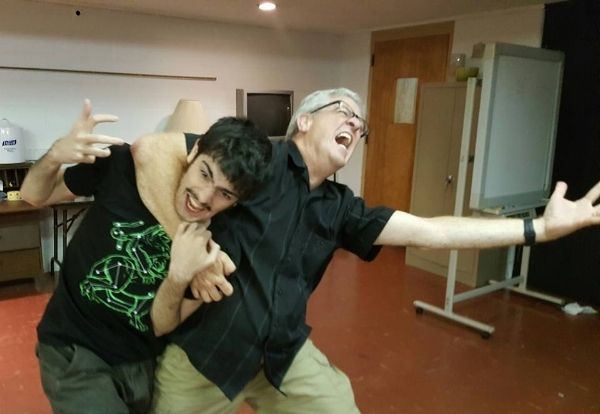 Get to know Scott Hanbury, who may be the *ultimate* improv dad, as he and his son started taking classes together. How and when did you get involved with improv? If you take the principles to heart it can change your life. This world is so divisive and people are polarized now more than ever, it seems. I know my beliefs are different than others, but we can come together and create something from nothing. We can create things that never would have existed on their own from any one individual. You can’t make a good scene on your own agenda, you have to collaborate. Wouldn't the world be a better place if people could just admit we don’t know it all, to stop trying to convert or mock each other and forge ahead to new realities? We need to take these skills into the world and truly listen to one another. In what way have you used “Yes, and …” or other improv principles in your relationships with your children? As great as "Yes, and ..." is as a concept, I feel we often miss the marks as parent on being collaborative with our kids, but I’d like to think that I am more now than I was before. I hope that I’m setting an example of trying things that are difficult and taking chances. Mostly, I want my children to see that you can make a positive difference in this world with a little effort and some passion for what you do. Any interesting or fun fact you’d like to share? About a year ago, Luke and I were eating some boneless wings and talking about life. We decided that it might be a good idea to try and do something with what we have been learning. We wanted a community near home that could laugh, learn, and play together as we practiced this art form we’ve been learning. We wanted to help people to learn to go with the flow of life. We didn’t know how, we didn’t know where, but we knew we needed to move. I’m not the greatest improviser, and I certainly have a lot to learn, but we now have our group in Mason, and it’s called “Go with the Flow.” So far it’s been a real adventure. We’re eternally grateful to IC for getting us started down this path!